I like that cover. Shame though that the Mac Gargan Venom look was rarely used outside of Mark Millar's Spider-Man Run. Yeah I remember during the Siege tie-in he might as well have been Brock. It’s a real shame that outside of a few writers no one bothered to do much with Gargan and now he’s back to being a non-entity. A lot of artists don't really understand that the look of the Venom symbiote varies based on the host's physicality and personality. That's an awfully healthy dinosaur. 65 million years too late. On an island they were not native to. And awfully spry humans (hominids really). Half a million years before they came to Britain. Pretty sure they could have made her situation seem dangerous without indulging in anachronism. Britain wasn't an island back then, I think. But, anyway, there were no dinosaurs in the area that is now the British Isles? I thought they were pretty much everywhere. 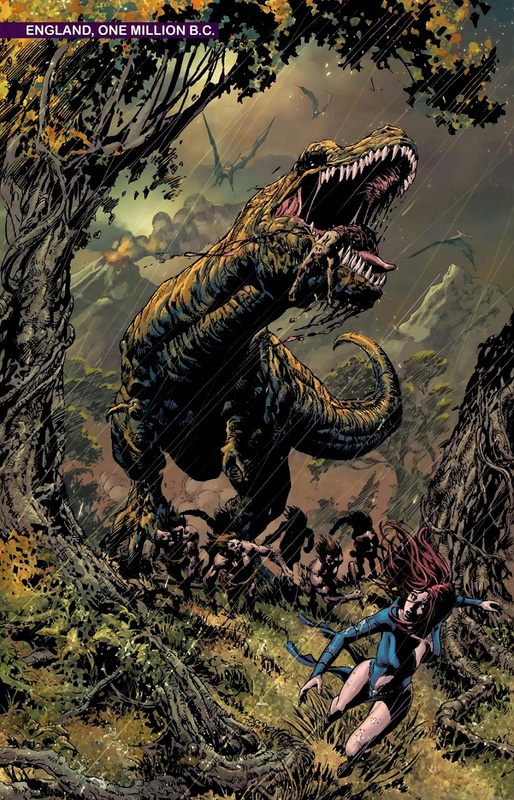 Like, send her to the Savage Land in the past? I don't get it. If they can't kill Morgan due to time stream damage, how is putting her a million years in the past any better? She can change all sorts of things back there. 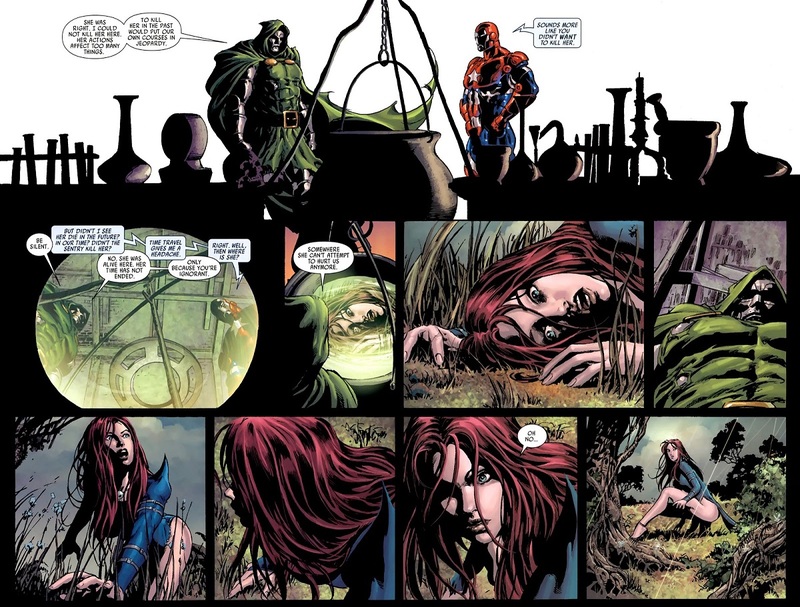 Plus... isn't she still a sorceress with time traveling capabilities? She can just head right back as soon as she gets away from the anachronistic T-Rex. Which is probably what happened when the next writer had need of her. Finally, while I can understand why folks often mix dinosaurs from different geologic periods together, I thought we all knew dinosaurs and cavemen were not coexistent. In Marvel dinosaurs and modern men are coexistent, though. Only in the Savage Land. Nah. There's been dinosaurs from Congo to Texas too. I like how, with clearly more than enough seats, Ares and Daken are still sitting next to one another, while Mac Gargan and Bullseye are in the row behind. Especially since Ares is clearly bulky enough that he and Daken are fighting for the armrest and it can't be comfy. With those personalities, one expects them all to take a row separately and spread out. Were Daken and Ares secretly up to some Greek friendship if you know what I mean? Were Mac and Bullseye trading war stories about fighting Spider-Man and Daredevil? Hmmmm. 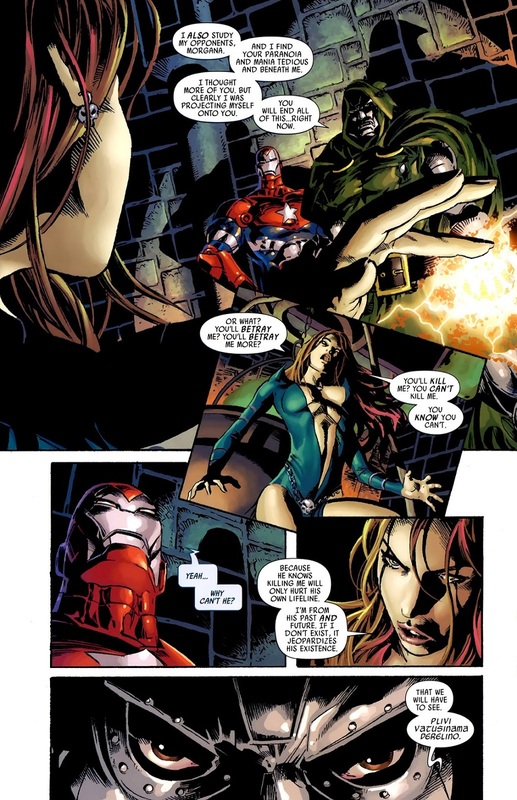 Daken likes to be close to people he manipulates- sexually or otherwise. The Mac and Bullseye bonding seems unlikely given that Mac tried to eat Bullseye (not that way) 15 minutes ago. Would Daken bottom for Ares? He's all about the sexual manipulation, but he always came off as the dominant one. Would he be willing to receive the almost certainly monolithic endowment of Ares? One further doubts that Ares is the type to view the act of sexual congress as anything but physical. Ares, falling in love with his catamite? Unlikely. 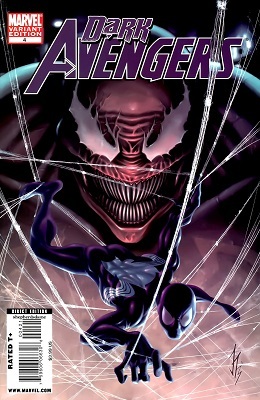 Should Clint really be the guy leading the charge on accusing Osborn of recruiting criminals for the Avengers? 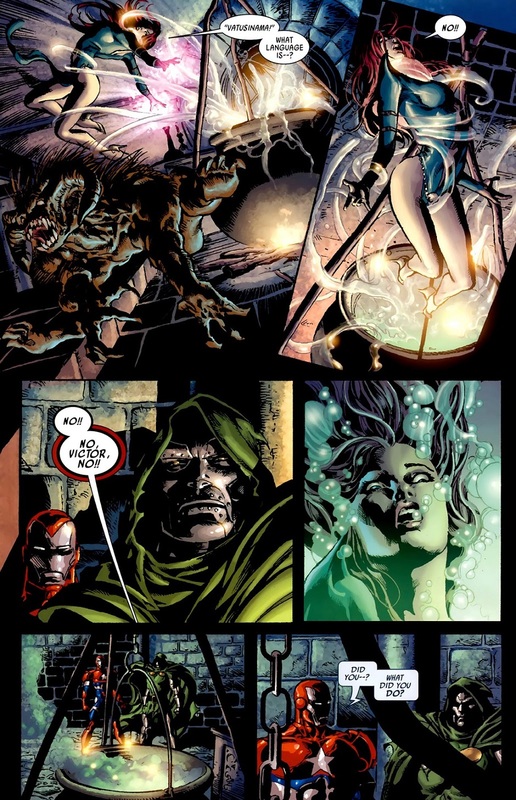 Osborn can just say that he's giving other people the same chance that Clint got. Pretty sure that's what Osborn says in the next issue. The difference is that Clint offered people who wanted the chance to change, the ability to do so. But he did draw a line in the sand with murderers, which is basically Norman's entire team. What's more baffling is why Clint simply didn't name some names. "That Spider-Man? That's Mac Gargan. We've seen him eat a few people on camera. That Hawkeye? That's Bullseye, ya know, the guy who tries to outdo cancer's death count?." 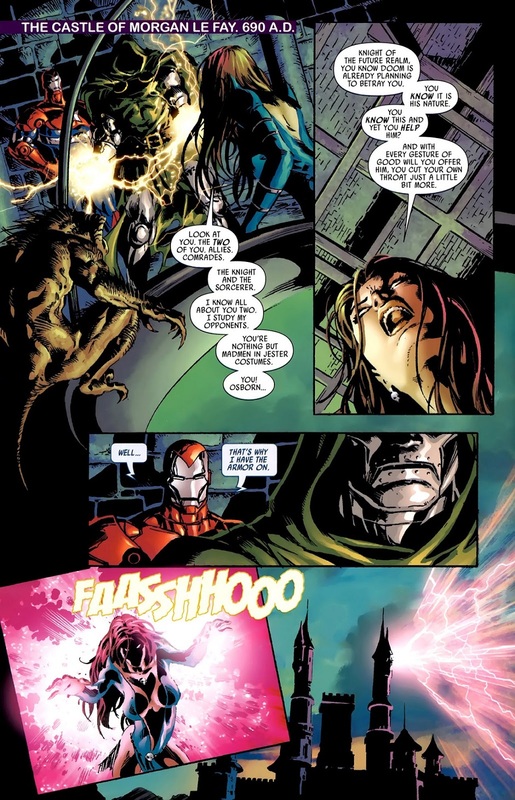 In terms of ignoring fairly obvious tactics, the Avengers take the cake during Dark Reign.